Schuessler Tissue Salt Natrium mur or chlor No 9 is a preparation of Sodium Chloride. 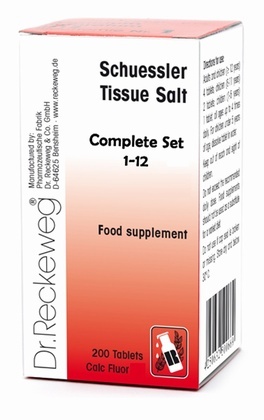 Schuessler Tissue Salt Nat mur is also known by the bio-chemical name of Nat chlor, both being Sodium chloride. The names on the bottle may vary. Each tablet contains: Sodium chloride 6X. Contains lactose. 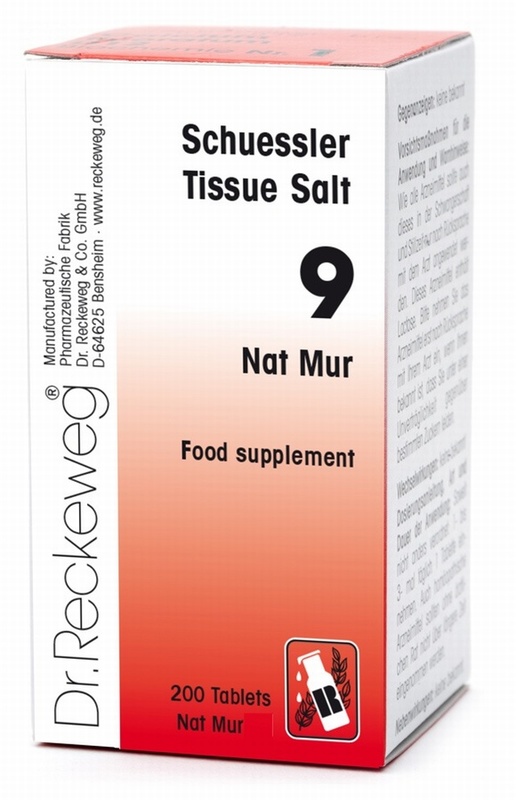 Send Us Your Review of Schuessler Nat Mur No. 9 200 tablets - BULK OFFER!